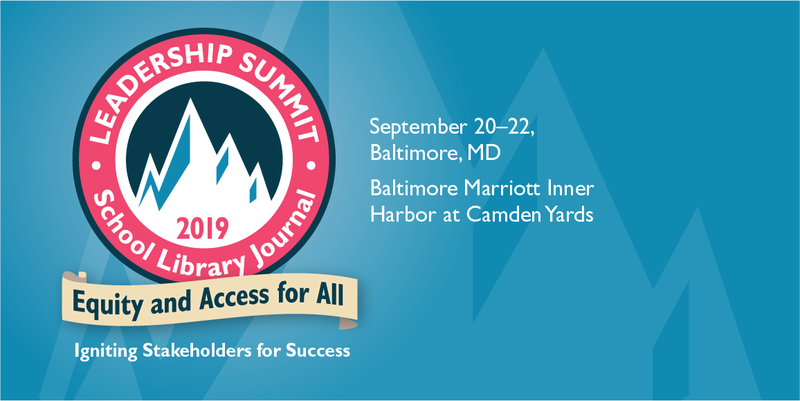 School Library Journal is proud to bring the 2019 SLJ Leadership Summit to Baltimore. Now in its 15th year, our highly anticipated two-day event will revolve around the theme Equity and Access for All: Igniting Stakeholders for Success. Participants can expect a vibrant and vital conversation among more than 250 library and education leaders from around the country exploring key social and education topics, and how school libraries can foster a more equitable world. The event will be held at Baltimore's Camden Yards Marriott on Saturday, September 21 and Sunday, September 22. Speakers include Dayvon Love of Baltimore United for Change; Michael Daria, Superintendent of Tuscaloosa (AL) City Schools, and Congresswoman Susie Lee (D-NV). We’ll also hear from the Harry Potter Alliance, and much more. The Summit, a robust national forum for the issues that are most important to librarians and the students they serve, is designed to help them in their critical work as school leaders. The event promises active learning, and plenty of time for reflection, collaboration, and networking with colleagues. Tours of local schools, vendor focus groups, and a literary walking tour are being planned as preconference activities on September 20. Thanks to the support and commitment of SLJ Leadership Summit sponsors, SLJ is able to offer up to 250 registrations at no charge, on a first come, first served basis. Once these complimentary registrations have been claimed, additional registrations will be available for $250 (registration fee\value). More information is forthcoming, but don't wait, register today for free!